Whether you’re a firefighter, in the military, or just hit CrossFit every night, there are plenty of reasons an engagement or wedding ring might not fit in with your lifestyle. So when we stumbled across QALO rings last week, we thought the non-traditional rings were an amazing idea. QALO rings are made of thick silicone, which is water-repellant and can handle high-temperature environments. They come in men’s and women’s styles and run $16 to $20 each. Highlighting marriage while pursuing the adventure of life sounds pretty awesome, right? It’s also a nice option if you’re simply tired of guys hitting on you when you’re not wearing your ring in the weight room at the gym. 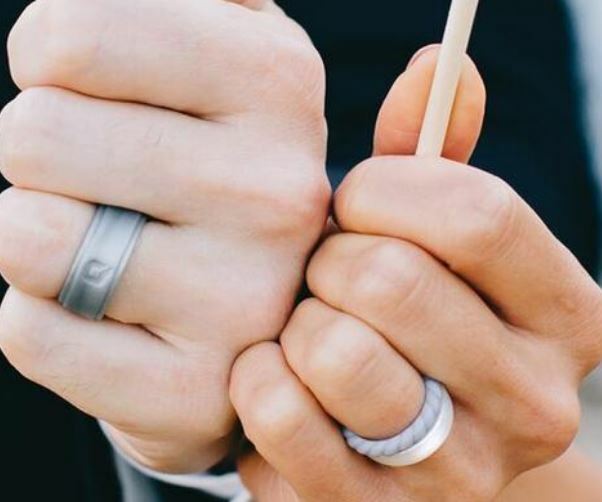 Would you or your partner wear one of these alternative rings, Loverlies?